A year ago yesterday, Pierre Loury was shot and killed by Chicago Police. Pierre, a 16 year-old resident of the West Side, was trying to climb the back fence to his home in North Lawndale when police shot him in the back. The next evening, hundreds of people gathered outside Pierre’s home to hold a vigil and stand in solidarity with his family. Following the vigil, hundreds marched down the block to the Chicago Police black site at Homan Square and briefly shut down Interstate 290. The march came off the highway at the Harrison and Kedzie Police Station, where police attacked demonstrators and arrested several people. Shimron was among the people arrested a year ago today. After being sent to bond court the next morning, his bond was set at $30,000 (requiring a payment of ten percent or $3,000). CCBF posted Shimron’s bond that evening, preventing him from spending the next year incarcerated while awaiting trial. Shimron was represented by a volunteer attorney through the National Lawyers Guild of Chicago’s Mass Defense program. Last month, Shimron’s case resolved without Shimron having to spend any additional time behind bars. With his case behind him, Shimron is getting ready tour the southeastern United States promoting his music! You can listen to Shimron’s music here: https://superfree-man.bandcamp.com/. 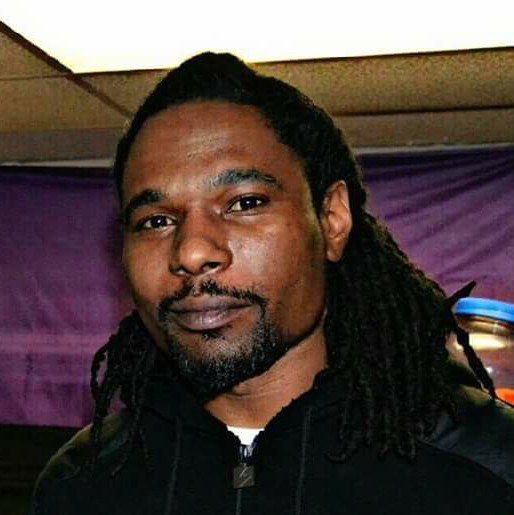 The $3,000 that was posted to free Shimron will now come back to CCBF’s revolving fund and be used to free someone else from Cook County Jail. Last year, CCBF posted bond for 11 demonstrators standing up for social justice and liberation throughout Chicago. Since CCBF was created in the fall of 2015, no one arrested at a progressive protest in the city of Chicago has had to spend more than 48 hours in Cook County Jail after their bond was set. A year after Pierre’s murder, still no CPD officers have been held accountable. CCBF is proud to stand with Black Lives Matter Chicago and Pierre’s family (The 411 Movement For Pierre Loury) as they demand justice for Pierre and other victims of police violence.